We design creative, results-driven websites that work. An effective website design requires careful planning and precise execution. We have the experience to create designs that are visually appealing and user friendly. Most importantly, we know how to consistently convert visitors into customers. With over 14 years of building custom websites, we have a pretty good sense for what works and what doesn't. We design engaging, modern websites that are practical and easy to navigate. Usability is a key ingredient in any site, and we’re passionate about getting it right the first time. Engage your audience, increase sales, and make a lasting impression with a professional website designed specifically for your business and your customers. Your website says a lot about your business. Almost half your visitors will judge the quality of your products or the credibility of your business based on the look of your website. It's true. Over 90% of all products and services are researched online before an actual purchase is made – that means just about every potential client or customer is researching you via their smartphone, tablet, or computer. If they don’t like what they see, you're not going to make the sale. Ask yourself this: would you feel comfortable shopping at a store or hiring a professional whose showroom or office had cracked and peeling paint or filthy carpets? If you want your website to produce results, it pays to make it look as good as it possibly can - and it needs to look good on every device! WordPress can be tailored to fit any need. Whether you have a simple blog, corporate website, or a high-traffic shopping site, WordPress is the perfect solution. Having the right plan and platform is imperative to success and we lead the way by using WordPress to develop and design cutting edge web and mobile experiences. WordPress enables you to take charge of your website and its content, giving you the power to organize and publish content on your own schedule. The easy-to-use features of WordPress means you have more time to focus on what matters most – your business. The user experience needs to be tailored to all devices in order to optimize engagement and conversion rates. Responsive web design allows your website to be fully functional on various screen sizes and devices. These days, the internet doesn’t just sit on your desk. It’s in your pocket, or on your sofa or dining room table. 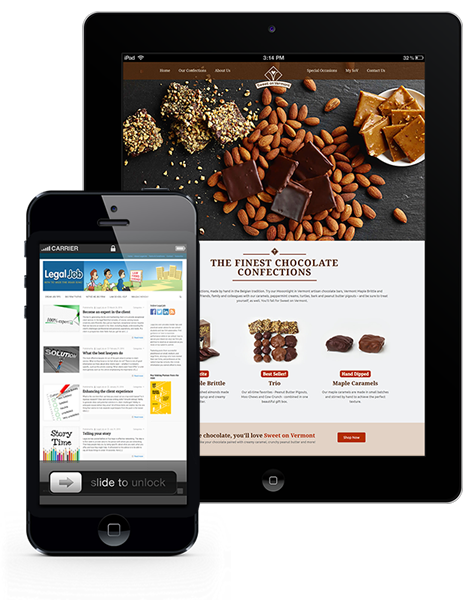 A website that looks perfect on your desktop might be hard to read on your iPad or smartphone. In fact, it might unusable, sending roughly half of all internet users away from your site. If you want to retain these mobile visitors, you need to accommodate their device preferences via a responsive web site. Responsive web sites are the solution to the problem. They’re designed to detect the width of the visitor’s browser and adjust their presentation dynamically to fit. This allows a single, full-function web site to properly serve the growing spectrum of web-enabled devices. 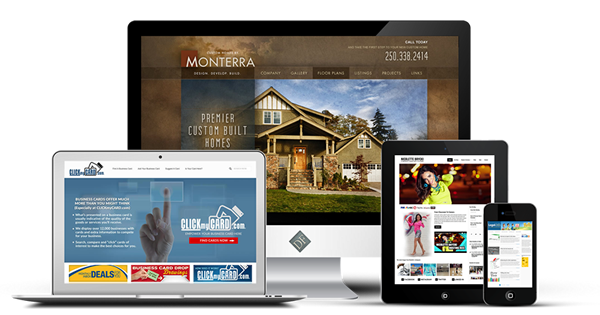 We specialize in mobile-friendly, responsive web design and incorporate responsive technology for EVERY web project.